Researching the needs of your audience will go a long way to increasing your website’s popularity. Understanding what they want, what they will be searching for, and how your product or service will help them to reach their goals are of supreme importance. Not only will it give you direction in the next phases of creating your business website but it will also help you to start your keyword analysis for SEO purposes. Gather all the information you must share on your website. Have this 100/% prepared so that there are no gaping holes or delays when you go live. Keep a document map of all the information you have gathered. This is where you can have fun with the creative planning – provided you are using basic principles of good design. Having developed a framework of the functional flow of your website, implement those features. Check and double check that all the website functionality is working smoothly. Review and fix any bugs that you may encounter. Your website is well designed, your content marketing posts are ready to be published, and you are ready to go live. Sit back and enjoy the fruits of your efforts! Whether you are starting a new business or are planning to relaunch your existing company website, our digital marketing solutions will enhance your exposure, brand awareness, leads, and sales. 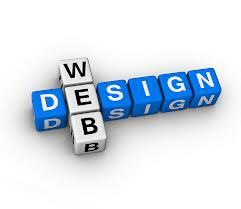 For more information on web design, please contact the WSI team today.